Rosemarie Rossetti's 3-year-old dream house became instantly useless in 1998 when an 80-foot tree fell on her while she was bicycling. Paralyzed from the waist down, Rossetti was suddenly faced with inaccessible entries, wall plugs that were too low, counter-tops that were too high, bathroom doors that were not wide enough and shower stalls that were impossible to use without help. Rossetti has turned that awareness into a career as a speaker, trainer, consultant and writer who promotes accessibility in the home building industry. She is scheduled to moderate a discussion on "Universal Design" and accessibility at a Jan. 29 Housing and Construction Summit sponsored by the Home Buildings Association of Greater Grand Rapids (HBAGGR) at the Pinnacle Center in Hudsonville. 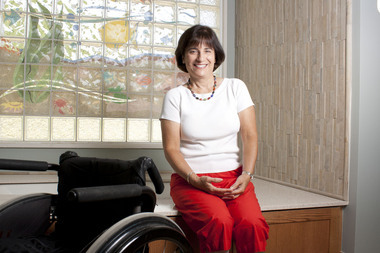 To test and demonstrate her principles, Rossetti and her husband, Mark Leder, have built a national demonstration home and garden, the Universal Design Living Laboratorywww.udll.com in metropolitan Columbus, Ohio. By now most readers of Design for All India have a healthy grasp of Universal Design. Many, perhaps most, have become highly competent in its application as is evident from the articles appearing in past volumes and today. Beyond technical mastery of the Seven Principles, knowledge of best-of-breed solutions, and familiarity with allied concepts such as Visitability, Adaptive Technology, or anthropometrics there is a cultural component to this design approach that is unquantifiably - but undeniably - transforming Universal Design. By systematically and thoroughly examining this cultural component in the coming decade we will discover the true nature of Universal Design to be social sustainability. There are two ways to define this cultural component. The first is to take the generally accepted meaning of culture as a social system involving ethnicity, nationality, language, arts, shared values or some combination of these elements to define a coherent and dynamic system. The second is to apply the term culture to that system in relationship to persons with disabilities as a whole (pan-disability culture) or as various sub-groups (blind, deaf, deaf-blind, spinal cord injured, post-polio cultures). Research into response to Universal Design in this first domain is still in its infancy. A rich body of literature will result from future inquiries into adoption, rejection, and adaptation of Universal Design by cultures as they have been traditionally defined. Such study can provide a complementary approach to other inquiries into disability in the field of Disability Studies. Historically Universal Design arose in the 1970's as a product of the Disability Rights Movement in the United States. Closely associated with the work and teaching of North Carolina architect and quadriplegic Ron Mace it began to gain widespread acceptance in the 1990's through a dissemination process that has not been well documented. One theme in that documentation will be the interplay between the cultural values embedded in Universal Design, either intentionally or unintentionally, and those held in locations where it is introduced. Anecdotal evidence indicates integration of Universal Design in Japan's Mitsubishi, Toto, NTT DoCoMo and a uniquely Korean appropriation of Universal Design at Samsung. Reference to the Tao and the principle of balance symbolized in Tae Kuk are being integrated into the approach as applied to product design by the latter. Research by Thai scholar Antika Sawadsri (2006) on affective responses to Universal Design in Tai domestic settings is the first of what ought to be a series of similar studies done around the world. Such a micro-scale look at cultural factors involved in receptivity to Universal Design will provide uniquely targeted guidance to social planners and businesses attempting macro-scale Universal Design projects in the same social conditions. As successful application and adaptive enculturation of Universal Design occurs there will be impact beyond the predictable further inclusion of persons with disabilities into the economic mainstream. From the earliest conversations leading to what we now know as Universal Design pioneer Elaine Ostroff was involved in the arts and incorporating Universal Design. Other positive secondary effects of adoption will include the importation and fabrication of new materials, dissemination of new designs and new construction methods, and the economic enhancement of those able to consult, design, or build according to a culturally appropriate but inclusive norm as populations age. In areas where an age-inversion causes the numbers of elderly to exceed those of youth, adoption of enculturated Universal Design in infrastructure, products, and services will become necessary not only for social cohesion but as a user demand due to the natural conservatism common with aging. In order to pursue this research priority and ensure meaningful and generalizable results it is important that researchers share a common definition of Universal Design. That definition is found in the Seven Principles of Universal Design but requires ongoing attention to evolving definitions of disability and to local permutations of Universal Design such as Design for All. Current trends are toward a functional rather than a medical diagnostic approach to defining disability. The World Health Organization (WHO) reinforces that with its International Classification of Functioning, Disability and Health (ICF 2001). This aligns well with the third of the three theoretical models of disability - Charity, Medical, and Social (or "Social Interpretation" see Gabel, "Disability Studies in Education".) The latter defines disability as an interaction between function and environment. "...the main difference between the D[esign] F[or] A[all] idea and similar approaches such as "Universal Design" is that the targeted users should be involved in the process of product development." The designation as Lifespan Design referred to in the citation from Adaptive Environments above captures the observation that human functionality changes through the natural course of maturation and aging. It reminds designers that the value of a product is not the only its durability through time. Predictable changes in the functional abilities of the user may prove to be more important measures of value. Large-scale changes in the ratio between the young and the old are poised to be socially disruptive in ways that immediate adoption of Universal Design can mitigate. Studies to determine the culturally contextual rationales for accepting Universal Design will become increasingly essential. Already the narrative behind Universal Design projects for seniors or for people with disabilities differs. Public perception of the social value of publicly-funded Universal Design projects takes on added importance in times of scarcity of public resources. The aging segment of the population appears to figure more heavily than the disability community in Japan's adoption of Universal Design. While in the US arguably the strongest non-governmental promoter of Universal Design, the non-profit AARP through its Home Design resources, conferences, and workshops educates on the concept without reference to its origins in the Disability Rights Movement or its foundation in disability culture. This appears to be a deliberate marketing strategy to present only images of "healthy" attractive seniors. These and other examples serve to alert us to the reality that Universal Design applied to infrastructure may equally benefit both seniors and people with disabilities while the political discourse attached to such projects may work to drive a wedge between two groups with common interests and needs. Disability culture or disability cultures offer a second window of inquiry into the meaning and maturation of Universal Design as a global phenomenon. Some have theorized that while definitions of disability have been imposed by non-disabled persons cultures of disability have risen up to protect the interests, identities, and political voice of those gathered into these categories. Current understandings emphasizing the multiplicity of social categories any individual is involved in and the multifaceted interactive nature of resistance to social movements' demands for change provide a fluid definition of culture and energize artistic production with a disability "voice." Colin Barnes and Geoff Mercer provide an overview of the topic in Chapter 21 of the Handbook of Disability Studies entitled "Disability Culture." Defining, distinguishing, and uniting disability cultures remains problematic. One can list examples of distinctiveness: deaf culture maintains its own languages, blind culture it own institutions, and mobility impaired culture its own politics. Conflicts arise when specific design solutions are confused with Universal Design itself. The usefulness of curbs at corners for orienting blind pedestrians and the necessity of curb cuts for wheelchairs lead some to question the "universality" of some solutions commonly associated with Universal Design. It is important to recall that Universal Design is a design approach not a catalog of solutions or any specific construct such as a ramp or a flashing fire alarm. Universal Design understood as design and not a canon of prescribed solutions is capable of generating outcomes that address the unique needs disability groups with differing functional abilities. The questions arise for professionals, "Who is responsible for maintaining that clarity of definition at the academic level? At the level of professional discourse? When working with stakeholders and clients?" Language is a knowledge management system. Careful use of language is called for to both adequately communicate the process of Universal Design and to facilitate competing cultural values existing even within the disability community. The phrase "construction of culture" is commonplace in post-modernist discussions of the nature of culture. Similarly the "construction of disability" is a phrase indicating the social, and thus changeable, nature of the concept and social system known as disability. In such dialogue "avoiding the (re)construction of disability" is a responsibility of those who claim to be working in the interest of social inclusion such as practitioners of Universal Design. Part of that responsibility is to avoid design that stigmatizes. There are also professional mandates upon those who work with designers in the fabrication phase of products and spaces. We might designate these as part of a "culture of construction" that seeks to resolve all discussion to specifications and measurements that are actionable within their domain of responsibility. The influence of this approach can also manifest from within the disability community. Examples include accessibility auditor trainings that do not include an introduction to Universal Design principles or to the process and place of design in project development. The results are then evident in accessibility auditing survey tools that proscribe rather than describe. Mandated minimum accessibility standards from building codes are fashioned into check sheets or other proscriptive heuristics for gathering data. This data is then published in directories of building accessibility. The tools are thus unable to capture innovative (universally designed) solutions and the auditors unprepared to recognize them as good design. This self-defeating approach rewards businesses for mere minimum compliance and penalizes those who solve design problems in novel ways. One museum designer reported a usability study of one of her projects conducted by persons with disabilities. They immediately flagged the lack of the typical (stigmatizing) artifacts of "accessibility": grab bars and tactile navigation in colors, materials, and textures that broke the integrity of the design of the space, Braille captioning that was easily located visually, etc. After an orientation with the designer they agreed that the design's non-traditional integration of handholds, navigation aids, and placement of Braille were superior as well as non-stigmatizing. The auditors working from an internalized list of "accessibility features" had themselves failed to realize that the designer had achieved both accessibility and avoided reconstructing disability through stigmatized solutions. It must be remembered that even stakeholders with disabilities may need training in the tools such as Universal Design that are available to designers. The travel and hospitality industry will be the site of the next major developments in Universal Design. A typical legislated strategy for social inclusion employs the language of rights. It mandates access to government properties and services in the name of citizenship, human, or civil rights. It extends the argument to the business sector and mandates compliance through threat of sanction. Such a strategy is sound and within the purview of government. Yet it is not sufficient. Persons with disabilities in numerous countries report accessibility requirements that conflict within the same jurisdiction, corruption that allows regulations to be ignored, and a general failure on the part of those regulated to imagine any accommodation beyond the mandated minimum. A parallel approach is to use the industry's profit motive to achieve accessibility, employment, & attitude change for the benefit of the disability community. Aside from metropolitan transit and national rail systems the infrastructure of transportation and lodging - of tourism - is under private ownership. In the language of private business the laws protecting the rights of people with disabilities place them in the category of cost center or as legal risks of lawsuits to be managed. While establishing a necessary legal baseline against discrimination such laws evoke a resistance response that, in practice, prevents business from imagining people with disabilities as a lucrative customer base. Over the past several years the disability community has had some success gaining the attention of the tourism industry with research such as that done by the Open Doors Organization that US travelers with disabilities alone spend an average of $13.6 billion annually on travel. During this period I have been researching, refining, and promoting a reconciliation of these two approaches to social change where legislative scaffolding sustains the market for profit-based incentive. While some countries may never adopt national civil rights legislation for people with disabilities, approval of the UN Declaration on the Rights of People with Disabilities will radically change the business and legislative ecosystems and raise expectations in the disability community. Tourism remains largely unprepared for the future impact of this UN document. As a global industry that is increasingly being held accountable to social responsibility metrics such as the inverse of Universal Design - Green Design - tourism may become more receptive than governments themselves to accommodating persons with disabilities. I have proposed to the Echoing Green Foundation the creation of a series of strategically located Centers of Excellence promoting Universal Design within the travel and hospitality industry. We call this application of Universal Design to tourism Inclusive Tourism and Inclusive Destination Development. Each Center of Excellence will work to standardize the diversity of accessibility laws, disseminate accessibility guidelines for hotels, train travel & hospitality industry staff, and promote the education and hiring of persons with disabilities in the industry. At the local level we will increase accessibility of the tourist destinations hosting the Centers and train a core of persons with disabilities as self-sustaining regional experts in Inclusive Tourism. Expected outcomes include increased tourism infrastructure accessibility (hotels, airports, and transit systems), greater self-reported social inclusion of people with disabilities and disabled peoples' organizations (DPOs) (i.e. people with disabilities hired in the industry and DPOs contracted as travel industry suppliers), as well as people with disabilities positively portrayed as valued customers marketing by the industry. This project will engage industry's self-interest in profit by recruiting and training an overlooked workforce, product development for this under-served market, best practices dissemination to an awakening industry, and marketing a new image of disability completing a feedback loop that encourages more in the disability community to travel. Cultural factors influence the adoption of projects involving Universal Design as well as the development of the approach itself. These cultural factors include social groupings traditionally understood as cultures. They also include the communities of persons with disabilities as an aggregate and as sub-cultures differentiated by disability. Universal Design, as a product of disability culture, represents an authentic voice of disability culture when understood as a design process and not a catalog of sanctioned and static design solution or "accessibility features." Yet as a voice competing among other social systems and cultures Universal Design must be clearly articulated and intentionally directed. One area of promise for shaping the Universal Design of the future is in dialogue with the cultures into which it is introduced. One vehicle for animating such a dialogue is the global travel and hospitality industry operating out of the profit, in addition to the rights and entitlement, motive. A network of Centers of Excellence of Inclusive Tourism and Inclusive Destination Development offers a scalable and sustainable mechanism for the continued development of Universal Design as an authentic voice of the disability community worldwide. 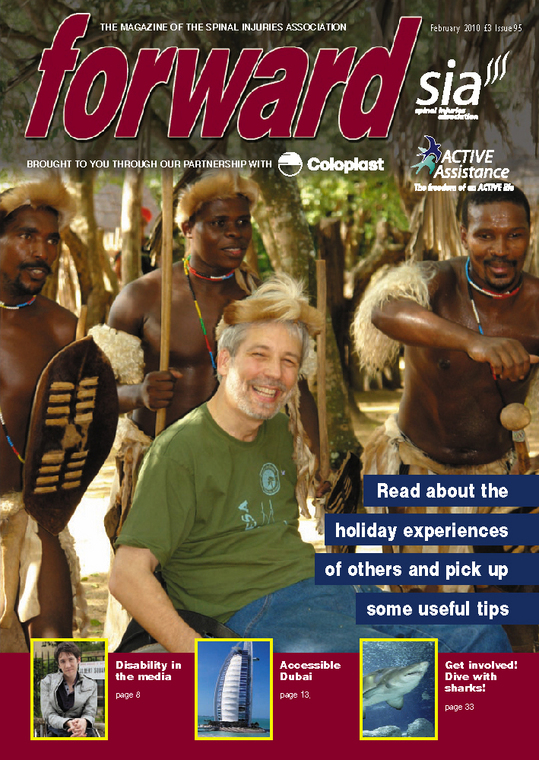 Dr. Scott Rains writes daily on travel and issues in the tourism industry of interest to people with disabilities. His work appears online at Trang web cá cược trực tuyến www.themiracleofkangaroomothercare.com andhttp://withtv.typepad.com/weblog/travel/ . Rains' articles have also appeared in New Mobility, Emerging Horizons, Contours, Accessible Portugal, Audacity, Travel and Transitions, eTur Brazil, Turismo Polibea, [with]TV, and Disaboom among others. For his research on the topic of Universal Design and the travel and hospitality industry he was appointed as Resident Scholar at the Center for Cultural Studies of the University of California Santa Cruz (2004-05). With gratitude to New Mobility magazine, Monica Guy, and Landscape Structures Inc., and M?o na Roda this article is making the rounds - and starting some conversations. I encourage Rolling Rains readers to respond to Liz's post on Travels with Pain below. A bit of background. Liz Scott is a travel writer with several excellent books to her name. This year was her first year addressing the SATH Congress. Liz lives - and travels - with chronic pain. The story below recounts intimately how pain and travel mixed on her return from the congress. One further note. Liz is a neighbor. I did not attend SATH this year. I wish I had. If I had I can only image that we would have traveled together both directions and been support for each other. I owe my health to the quick response and level-headedness of Sherri Backstrom when several years go I very rapidly caught a blood infection on a speaking trip in Italy. Follow Liz's advice - and don't put your travel companions in difficult situations. Carry simple instructions about what to do in case of recurring medical issues that might flare up. Have an Emergency Contacts list with you. Pace yourself! On Tuesday January 25, sometime in the late afternoon, I collapsed in a bathroom at Atlanta International Airport. After a red-eye flight from California to Florida, an uncomfortable night spent not sleeping much inside a dirty motel room next door to a bunch of people having a drug party, a 4-day cruise on an enormous and confusing-to-navigate ship (ironically named theNavigator of the Seas), SATH World Congress activities including 6+ hours spent sitting bolt upright in uncomfortable chairs, the stress associated with giving two speeches, an active in-port day on Cozumel, another night in the bad motel after sunburning myself on the beach in Ft. Lauderdale, and a coach-class flight from Ft. Lauderdale to Atlanta, it seemed that my body had had enough. While in the bathroom stall, a severe pain spike started up. At the sink, I got nauseous. Then my legs weakened and down I went onto the white tile floor. I had not lost consciousness and was thinking rationally between massive spikes of pain. But after a couple of minutes, when somebody found me, I couldn't speak coherently. OK, so I followed instructions and kept this quiet until now. We are still compiling data for the "third half" of this resource - Northern California. But now all you need to do is Google to find the new A Wheelchair Rider's Guide to the California Coast web site so I guess the secret is out. Exploring California's spectacular 1,100-mile-long coast can be a challenge for people who need a fairly level and firm path of travel--be they wheelchair riders, parents pushing strollers, or people who use canes or walkers. That's why we created this thoroughly researched online travel guide, with detailed information about a wide variety of sites, to help you make informed choices that suit your particular needs. (For more about our process and criteria, see How To Use This Site. Among many adventures that await you are rolling across the sand in a beach wheelchair, fishing from an accessible pier, hiking an accessible trail along an urban waterfront or remote stretch of shoreline, viewing wildlife from a boardwalk, and picnicking among redwoods or on a blufftop, with waves crashing against rocks below. As you explore our beautiful coast, keep in mind that it is a priceless but fragile natural treasure in need of our protection. To learn more about the coast and how you can become involved in its future, see our Resources page. Actually, I would love to attend CSUN's 25th Annual International Technology & Persons with Disabilities Conference! There is nothing like it anywhere in the world when it comes to technology and disability. There are always new products, projects, and contacts to make it worthwhile. And it is only a short flight from hoe for me. But I am not going this year because I have the privilege of working with Benetech. Together with partners and supporters worldwide, we use technology innovation and business expertise to solve unmet social needs. 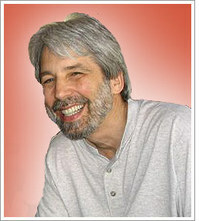 Leveraging the intellectual capital and resources of Silicon Valley, we create solutions that are truly life-changing. Our global endeavors have been instrumental in improving literacy, human rights and landmine detection. With expanded support, we can accomplish much more. For an 8-week period I will assist Bookshare.org volunteers get matched up with opportunities to serve.